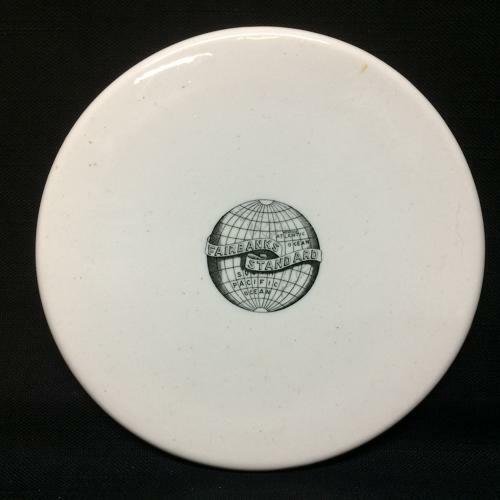 This is an antique scale plate featuring the well known logo for one of Americas earliest industrial companies. The ironstone piece was made to fir fit in a cradle and hold dairy or meat products as they were being weighed. A 6 1/8 inches in diameter. Condition: Great and possibly never used.